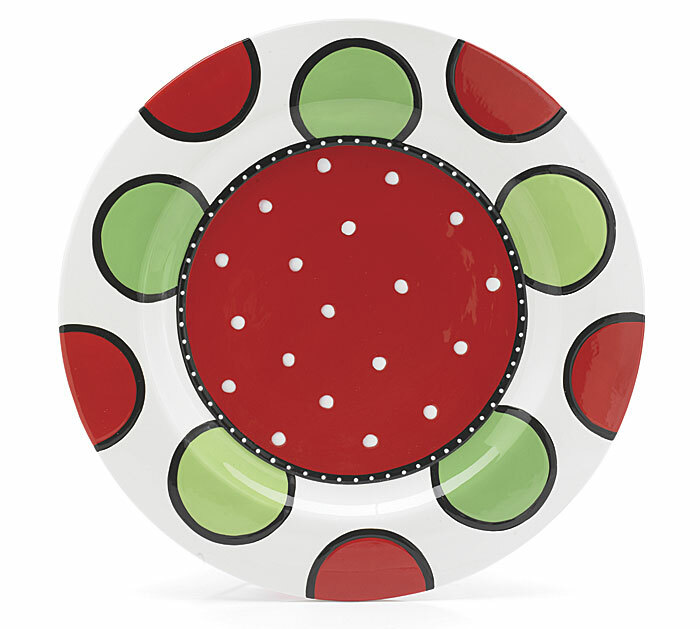 14 1/2" Diameter Hand-Painted Raised Ceramic Christmas Platter. Use with any of our Large Adornments to celebrate Christmas or any other occasion (sold separately). Hand-Wash Only/FDA Approved.